Get in the spirit of Forecastle Festival by joining us and Do502 on Thursday, July 16 at a special happy hour benefitting The Forecastle Foundation. 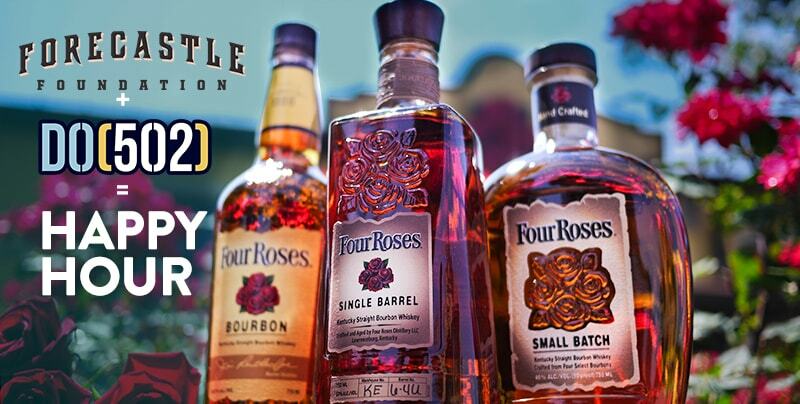 The event is FREE, but if you donate $10, you’ll receive a Four Roses tasting card to try all three Four Roses Bourbons – Yellow Label, Small Batch and Single Barrel. There’ll be Four Roses specialty cocktails for $5 and free food! Enjoy DJ Mark Evans and special guest Shane Cody from Houndmouth, and a $5 raffle (also benefiting the Forecastle Foundation) for a chance to win Forecastle GA Weekend Passes + Late-Night Show Tickets, or a Four Roses prize pack. Get more info and RSVP here.